A bold dinosaur print in pastel colours. Decopatch is a range of uniquely designed and printed paper manufactured using a special formula to give it great strength and durability. 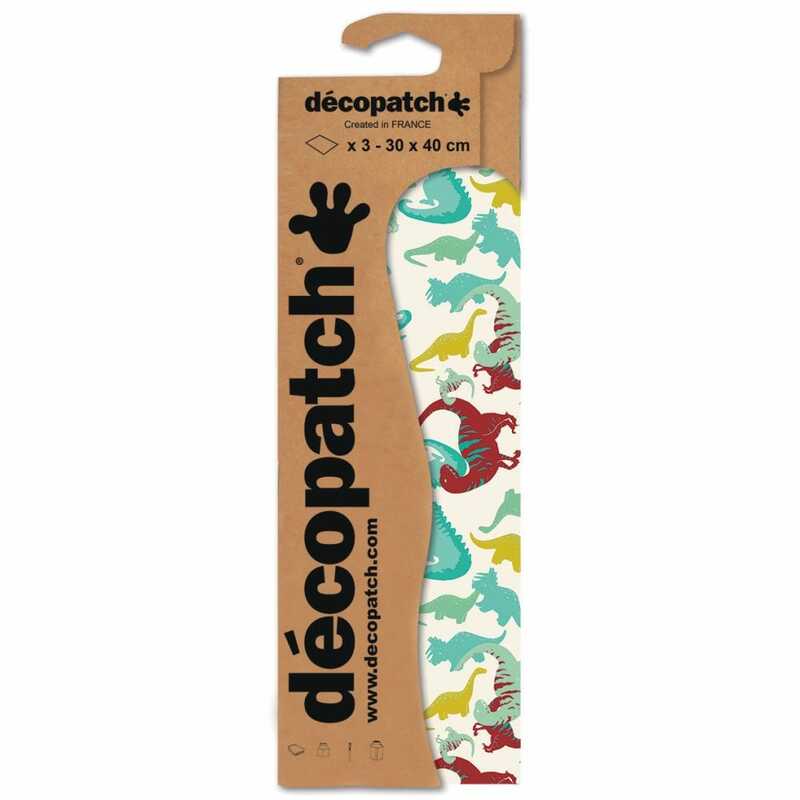 You can decorate almost any solid surface with decopatch paper from paper mache to shells, glass, wood, ceramics, stone, wood, plastic, metal etc - so you can enhance furniture, jewellery, flower pots, chairs,vases, lamp shades, the list is endless.